What is a compensation sconce plate? In wall upholstery a compensation sconce plate is a product fitted on a wall. It is a square plate 6″ by 6″ with a round hole in the middle. The thickness is a quarter inch. 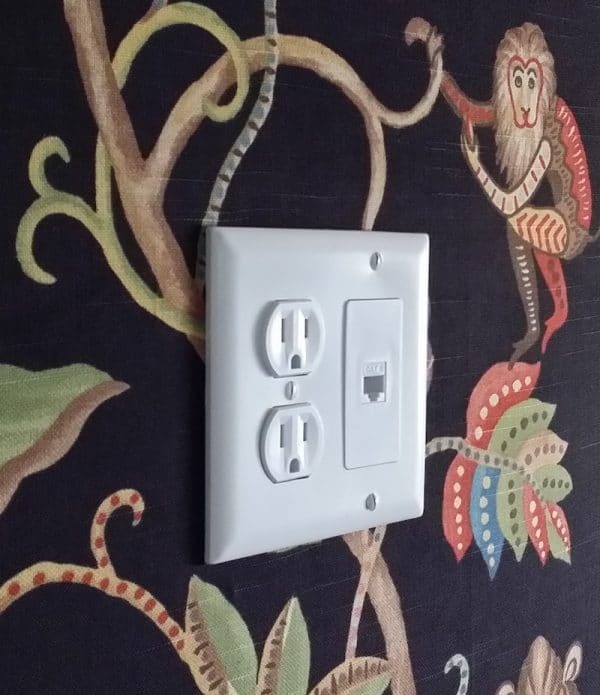 After installation of tracks on the perimeter of a room, an upholstery needs to take care of wall features. So, He removes the sconce, secure electrical wires and push them into the wall. Then, he place a plate on the front of the hole and fix using brad nail. Fast forward to the final stage. Once the fabric is installed and the fabric cleared from the hole, the sconce is fitted onto that plate. To conclude, the idea behind a product like this is having light feature at the same level as the fabric. Actually, there is a very similar product that you can use also on walls. 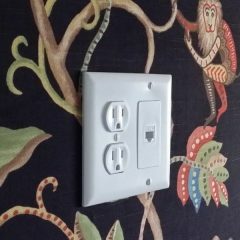 It is a compensation switch plate working around electrical outlets.